For the 3225C and the 3235C equipped with seven-blade standard cutting units, ET17533 will be shipped as the standard 22-in. bedknife. For the 3225C and 3235C equipped with ESP™ cutting units, ET17751 (minimum height of cut is 12 mm) will be shipped as the standard bedknife for the five-blade and eight-blade cutting units. The 10-blade cutting unit will be shipped with MT1928 (minimum height of cut is 9.5 mm) low-cut fairway bedknife. 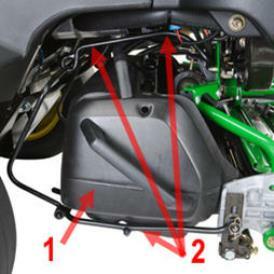 Kit includes parts needed to install a hydraulic oil leak detector for those desiring additional insurance against potential turf damage. 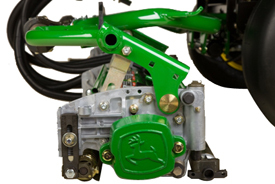 This kit will fit either gas or diesel 2500B Tri-Plex Greens Mowers and will alert the operator with both an audible alarm and a visual warning light in the event a hydraulic oil leak is detected. 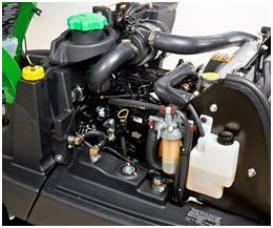 Includes one halogen beam working light for early-morning or late-evening operation. 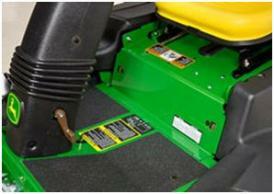 For increased traction in adverse, wet, or sloped mowing areas. 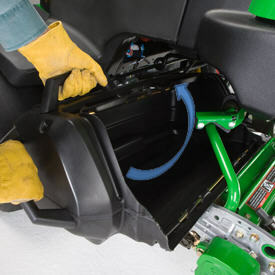 Third-wheel assist is automatically engaged when the PTO switch is pulled to the on position to engage the mow circuit. 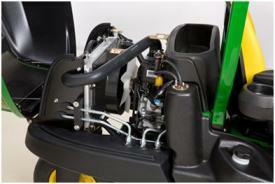 This also automatically reduces forward speed to 4 mph (6.4 km/h). 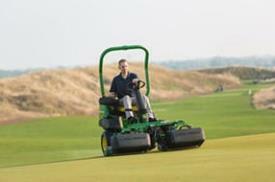 Grooved front rollers maintain height of cut while allowing superintendent to experience a better quality of cut versus a smooth roller. The 3-in. (7.6-cm) diameter spiral-grooved rollers with spiral endcaps should be used with seven-blade heavy-section cutting units for mowing tees, collars, approaches, or fairways. 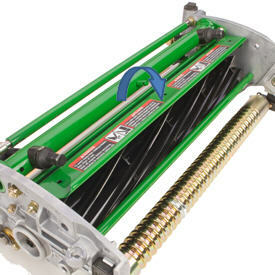 The height-of-cut range with these rollers is 5/8 in. 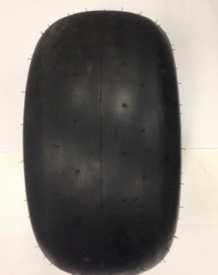 to 1-1/4 in. (16 mm to 32 mm). Using the 3-in. 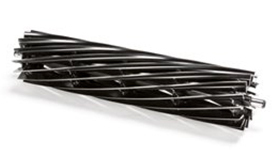 (7.6-cm) diameter spiral-grooved rollers with spiral endcaps for a height of cut greater than 3/4 in. 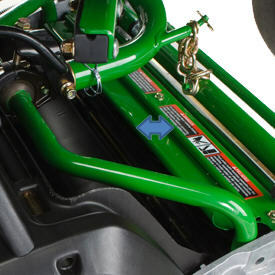 (19 mm) requires changing the height-of-cut bolt on the rear adjusters to M10 x 70. NOTE: These rollers should not be used for greens mowing.